Leading audio equipment company, Bose, recently announced the launch of its iconic headphones QC35 II. Google Assistant optimised the headphones keep one up to date on messages and music, and can be easily paired with one's Android phone or iPhone. 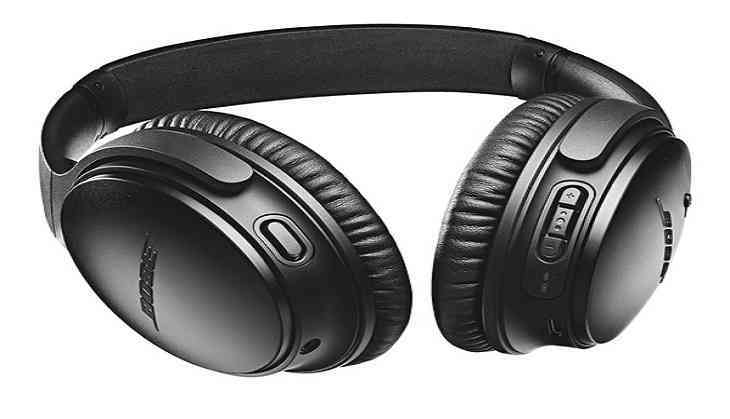 The QC35 II noise-cancelling headphones from Bose have all the performance and features of the original QC35. According to Brian Maguire, director, Bose on-the-go products, the company has only made the original product better. Hear your messages, what's next on your calendar and more, just by pushing the Action button on your headphones. If a message comes in while you're listening to music, you can push the button to hear your message immediately. Otherwise, check in on your schedule anytime throughout the day by pushing the button and hearing the time and your notifications from the last hour. 2. "Play the news" or "Tell me the latest news"
Keep up with news while you walk to the bus, hop on the train or go for a run. Just ask your Assistant about the latest news and you'll get a read out of the current hot topics. 3. "Call Neha" or "Call the nearest Dominos"
Making a call on the go has never been easier. By using the Assistant on your headphones, you can make a call with just a few simple words, take the call from your headphones and continue on your way. No stopping or dialling, just talking. 4. "Play Ed Sheeran" or "Tune into the radio"
Headphones are for listening to great music and now your Assistant can help you get to that music, faster than ever. Say the name of your favourite artist in your music catalogue or ask for a podcast- your Assistant can get them playing in a snap. Now it's easier to play a playlist, skip a track or go to a new song when you're listening to music. And this is just the start; the music experience will continue to get better with more services and features. 5. "Set a timer for 35 minutes"
Need that extra boost to keep you on track for your daily run? Or want to set aside time to relax, read and listen to music? With your Assistant on headphones you can set a timer so you don't have to keep looking at your watch or counting the minutes, your Assistant can tell you when the timer is up. 6. "Add olive oil to my shopping list"
Your day gets easier with your Google Assistant helping you keep track of all the little things. Just ask your Assistant on your headphones (or on your Google Home or your phone) to add items to your shopping list, from school supplies to party supplies; never forget to buy essential items. 7. "Turn the living room lights to turquoise"
You can also control more than 70 smart home devices with your Google Assistant and your headphones can help you do it on the go. Once you've connected your smart lights, you can walk into the perfect living room setting. Or did you forget to turn off a light at home? Just ask your Assistant to "Turn off the living room lights." 8. "What are some good Thai restaurants nearby?" Looking for a good Thai restaurant nearby? While you're en route to downtown, ask your Assistant for help with food. You can create shortcuts for lengthy requests with your Google Assistant so interactions feel quick and easy. For example, instead of saying "turn on the lights at 80 percent brightness in the bedroom," you can set up a shortcut like "rise and shine," to turn the lights on to your preferred brightness on your bedside tables. 10. "Tell me about my day" and "What can you do?" Your Assistant can help you in a lot of ways. If you want to hear about your day, you can say "Tell me about my day" and get a rundown of everything from time and weather to your schedule and the news. The Google Assistant will continue to learn new things and get better over time. Want to know what else your Assistant can help with? Just push the Action button on your headphones and say "what can you do" to see how it's ready to help.